Darryl Swann has confirmed his intention to retire from Computer Concepts Limited (CCL), exiting the business he founded 28 years ago. 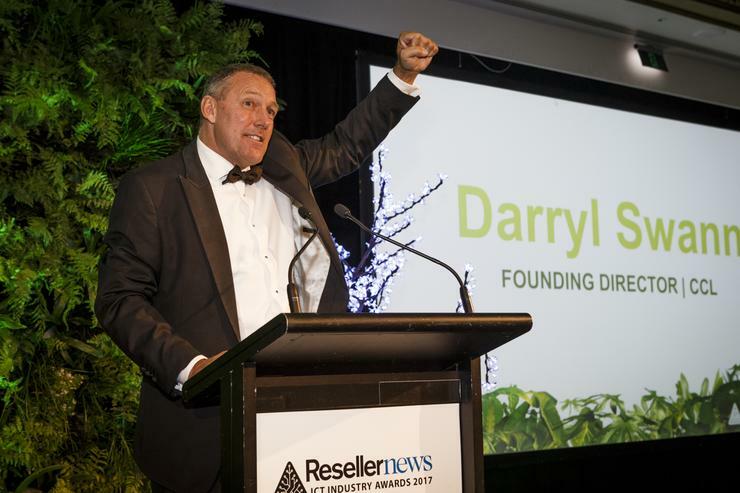 Reseller News can reveal that the charismatic leader will walk away from the technology provider on 5 October, leaving behind a company he built from the ground up since starting out in a Dunedin flat in 1990. In founding one of the country’s leading infrastructure specialists - which is now owned by Spark - Swann leaves behind an unrivalled legacy in the New Zealand channel, built on the foundations of engineering, customer obsession and innovation. But Swann - who was inducted into the Reseller News Hall of Fame in 2016 - said the “timing is right” to exit the business, as CCL “couldn’t be in better shape”. “I have so many memories and so many people to thank for all the good and even the bad times, that I won’t single anyone out,” Swann added. “All I can say is I have had a very blessed time, working with so many amazing people in all roles of the business." Swann said both staff and the wider industry are part of an “incredible CCL story and history”, which has spanned almost three decades - starting with one person before evolving into close to 450 staff across New Zealand. CCL was a first-time winner at the 2015 Reseller News ICT Industry Awards, taking home the Cloud Partner of the Year honours in the Homegrown Innovators category. Further success came in 2017, through the Mid-Market Partner of the Year award, alongside individual recognition through Sales Excellence and Hall of Fame honours. After founding the business in a spare bedroom in 1990, Swann set up CCL Incorporated in 1993, heralded by the company’s first office which opened in Antigua Street, Christchurch. In 1995, CCL purchased its first building in Elms Court, Ferry Road, before moving to 25 Leslie Hills Drive six years later, alongside establishing an Nelson office to provide onsite support for Nelson Pine. At the turn of the century, wider industry recognition followed through the Deloitte Fast 50 in New Zealand and Asia Pacific, with MG Marketing becoming the provider’s first hosted customer in the Leslie Hills Drive server room. 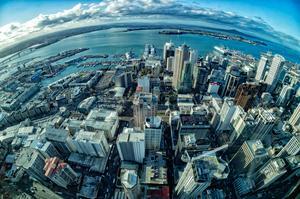 Fast forward to 2005 and Auckland was next on the radar for the expanding CCL, backed up by the acquisition of a controlling stake in Snap Internet, the opening of a Timaru office and the roll-out of a containerised data centre. Less than 12 months later, Canterbury Fibre Network company was created, while a new data centre in Nelson opened, followed by a Dunedin office in 2008 and a new colocation company in 2009. In 2010, a new data centre went live at 21 Durham Street, a Blenheim office was established and a landmark Christchurch City Council contract was signed. Current CEO Andrew Allan joined the business in 2011, aligned with the provider’s as-a-service portfolio launch to the market, in addition to a new partnership with PGGW. By 2012, the expanding organisation employed more than 100 staff, opening a new Durham Street head office to facilitate the deployment of a new service desk capability in the market. Within the space of 24 months, a Wellington office was opened, the business surpassed 150 staff and industry accolades followed, in the form of VMware and Commvault partner honours. By 2015, the one-time one-man band reached 200 staff nationwide, launching future services such as IaaS V2.0, CCL Networks, Pulse and Procure. Such rapid growth and continued customer expansion caught the eye of the country’s largest telecommunications provider in Spark, who acquired the business for $50 million in December 2015. A key factor in the decision was CCL’s performance during the Christchurch earthquakes in particular, showcasing the credentials of the managed service provider which completed the build of its largest data centre, in Christchurch, three months prior to the first disaster in September 2010. During the earthquakes, and from a technological standpoint, the city was impacted by fibre and copper communication breaks, an overloaded mobile infrastructure and mobile network operators going into emergency calls only. To add to the disruption, many businesses throughout Christchurch had no access to office space with limited access to key company data and information, as well as clear damage to infrastructure and hardware. In utilising the company’s back-up and disaster recovery services, CCL - led by CTO Jon Waite - worked closely with those impacted to evaluate risks to infrastructure and ongoing operations, drawing on experience from on-site professional services and hosted data centre services from six New Zealand locations. “CCL did a great job for Christchurch and frankly the South Island during that time,” said Tim Miles, former CEO of Spark Digital, when speaking to Reseller News at the time of the acquisition.